Jagged zig zag bands with thin vertical pinstripes make up the modernist design of this sleek vintage men’s skinny tie with squared tip blade, circa 1950s. The Rockabilly style necktie consists of what feels like a soft silk fabric in colors of deep burnt orange and black, with embroidered accents of thin white lines resembling match sticks. 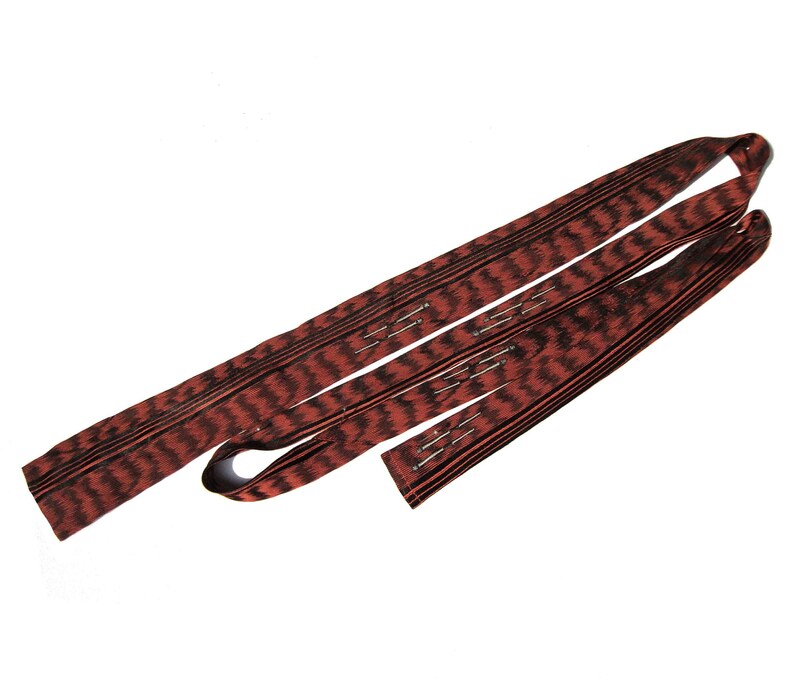 The tie has no labels and measures approximately 52&1/2 inches in length, by 1&3/4 inches wide across the blade.